Disputes can disrupt the natural flow of business, cause stress and anxiety and take up valuable financial resources and management time. For over 40 years, Hamlins has built a strong reputation for effectively and successfully helping clients to resolve their disputes. We take a sensible, efficient and commercial approach because we understand that individuals and businesses need pragmatic and realistic solutions to their issues. As every client has different aims and objectives, from the very first meeting we explore what each client wants to achieve, build a rapport and then work closely with the client to develop a strategy that enables them to achieve their goal. Wherever possible, we try to resolve disputes quickly, using a range of techniques including mediation. However, we do so in a way that demonstrates the strengths of the client’s position. We aim to reach a negotiated commercial settlement if possible but, if not, we will guide the client through the other options available including litigation, arbitration and adjudication. Our goal is to try to secure the best outcome for each client by putting forward their views succinctly and without incurring unnecessary expense. We support each client throughout and guide each client through the dispute process, help them assess risk and what options are available and explain the court processes, timetabling and procedures should that become necessary. 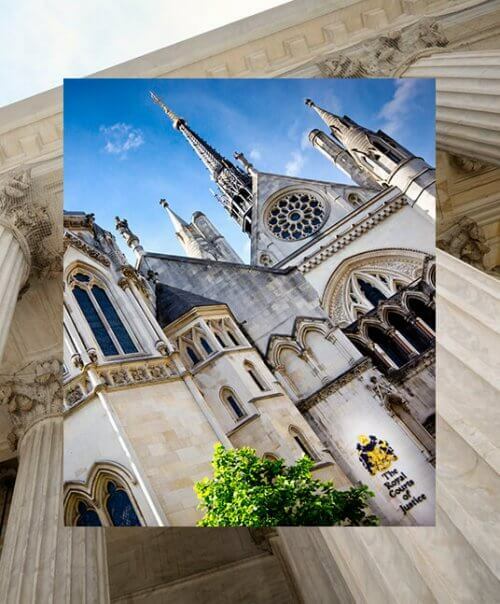 We regularly conduct Litigation in the Royal Courts of Justice Queen’s Bench and in the Business and Property Courts of England and Wales (formerly the High Court Chancery Division), the Appeal Courts, County Court, The First Tier Property Tribunal, The Crown Court and Magistrates Courts as well as specialist Tribunals such as the Intellectual Property Enterprise Court and at various Adjudication Tribunals of Regulators. We are also familiar with many different types of Arbitration proceses and Adjudication. We advise both Claimant and Defendant Individuals, Entrepreneurs, national and international Companies, LLPs, Professional Partnerships, Financial Institutions and Funds as well as Rights and Brand Owners. Our team’s experience extends across various sectors including Company, Media & Entertainment, Technology, Retail & Fashion, Real Estate, Construction, Insurance, Hospitality & Leisure, and Sport. Amanda was described as “extremely hard working” in Legal 500 2015. An Introduction to Mediation: a better alternative?